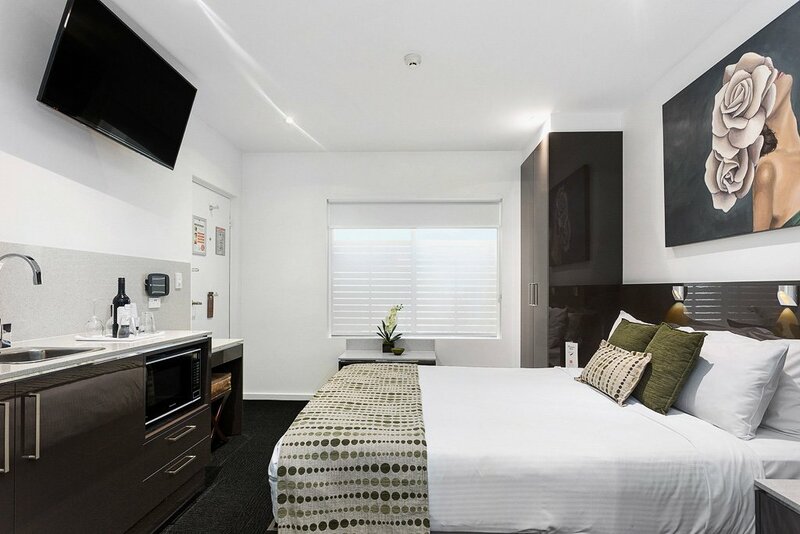 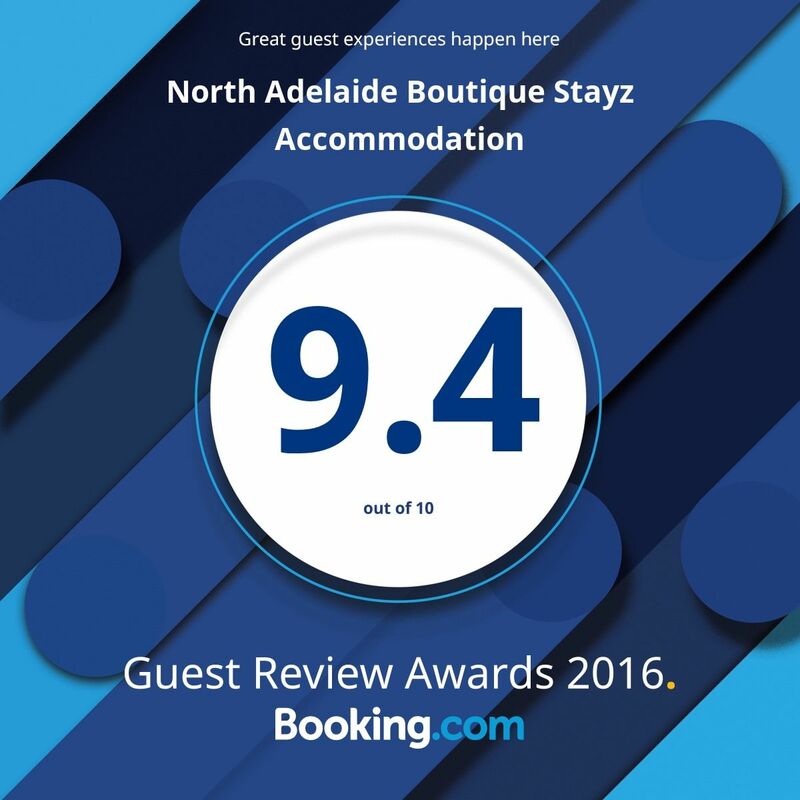 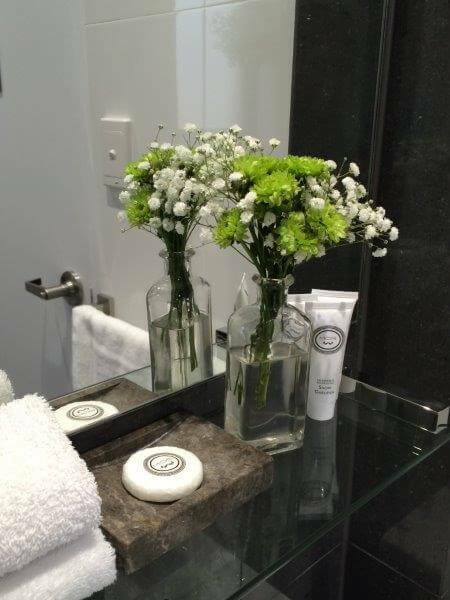 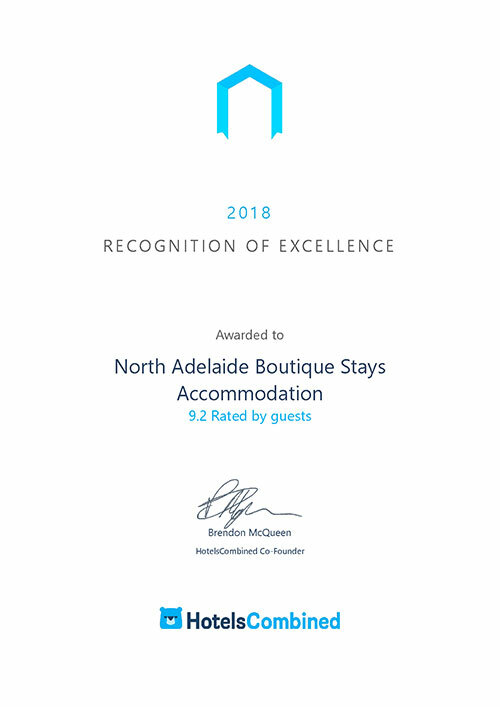 Brand New 4 Star Studio (built 2014) with pillow top queen bed, Foxtel, iPad in each room, LCD 40 inch TV, kitchenette, coffee machine, mini bar, Hi-speed complimentary WIFI and limited car parking if required. 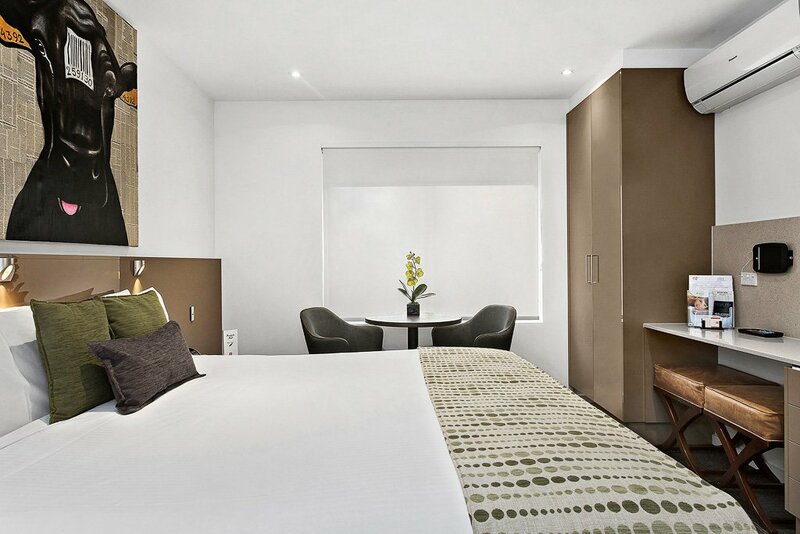 Maximum 2 people per room. 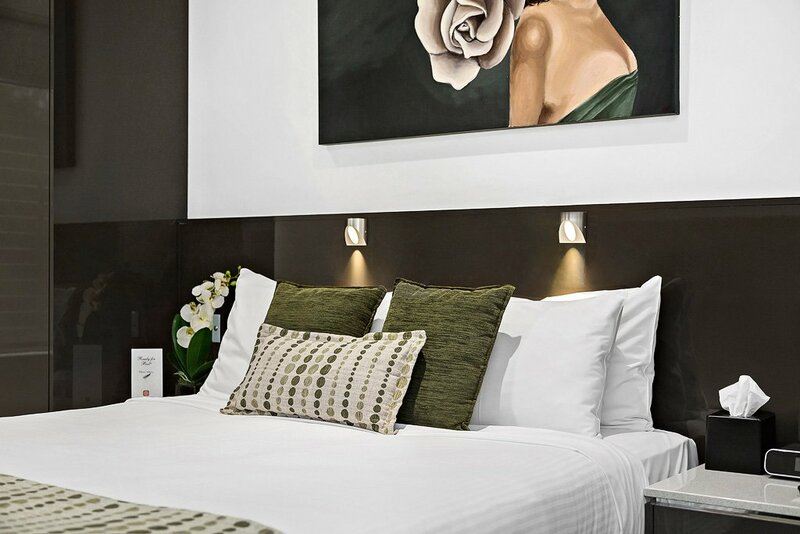 Pillow top queen bed (king bed available on request) or Twin Bedding (2 x Single). 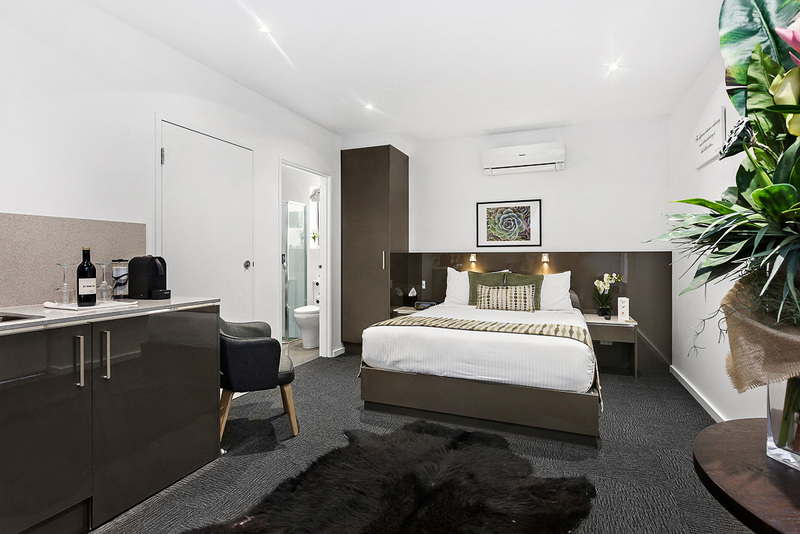 Room also includes kitchenette with microwave/bar fridge, iPad in each room, business desk, Nespresso pod coffee machine & iPod docking station. 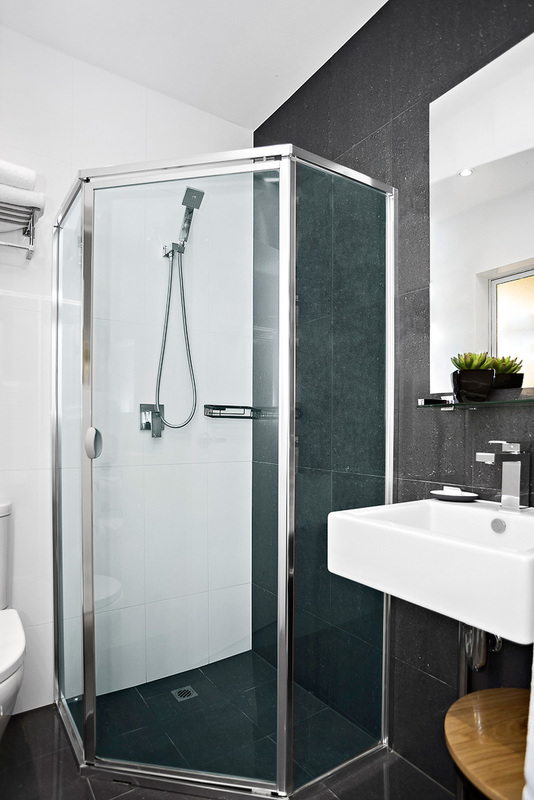 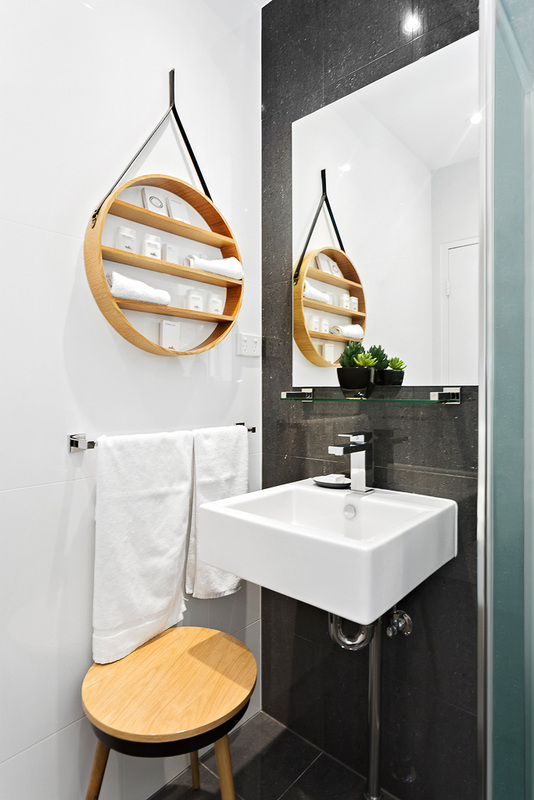 The 4 star contemporary styled rooms also feature a bathroom, reverse cycle heating/cooling. 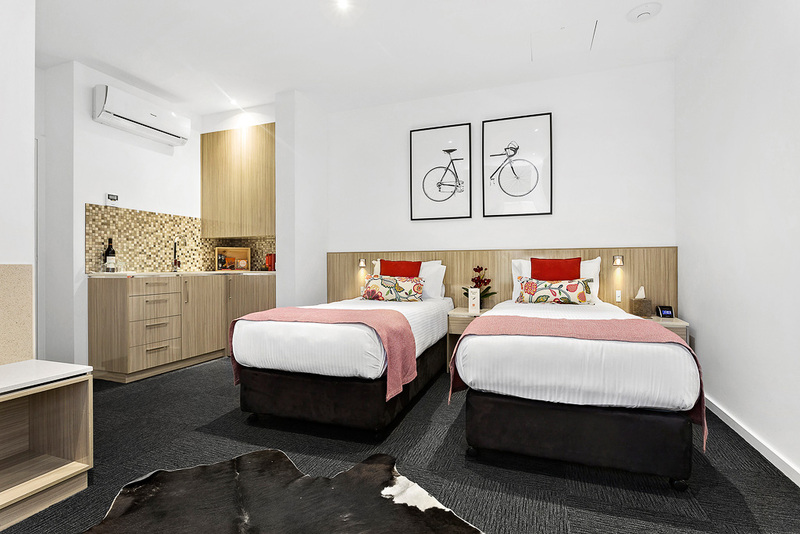 Guests also have access to limited off street complimentary car parking if required, communal laundry with washing/drying facilities and a 24/7 vending room with snacks, drinks and frozen home cooked meals.